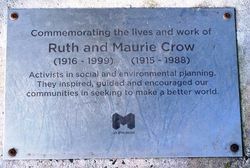 The plaque commemorates the lives and work of Ruth and Maurie Crow. 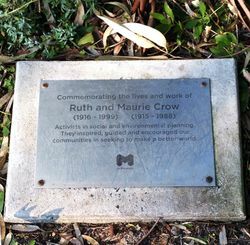 Their collection of printed material and working papers constitutes an important basis for understanding the wide variety of causes with which they were associated - from Ruth Crow`s work with women and children in Brunswick during World War Two, and Maurie`s in the Clerk`s Union, to the pioneering work they did from the 1960`s onwards in relation to public participation in urban planning, building neighbourhood communities and creating a sustainable future. Activists in social and environmental planning. 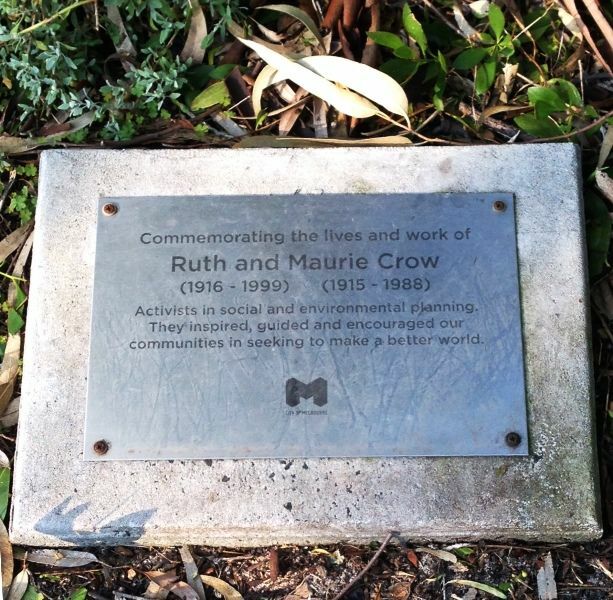 communities in seeking to make a better world.